Has your vision become blurry or fuzzy over time, making it feel as if you are looking through a foggy window? If so, you may have cataracts, one of the most common vision-related conditions among aging adults. Over time, cataracts can make everyday activities like driving and reading increasingly difficult. 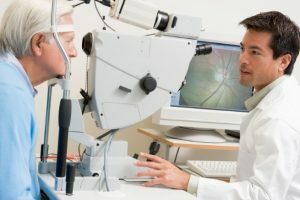 Fortunately, the experienced ophthalmologists at the Mack Eye Center may be able to help; they have restored the vision of thousands of cataract patients through bladeless laser cataract surgery. A cataract is the clouding of the eye’s lens. The lens is the portion of the eye responsible for focusing light on the retina, which sends the image to the brain through the optic nerve. Over time, proteins in the lens start to build up, gradually clouding the lens. When the lens develops a cataract, light is scattered and the lens cannot focus it properly, causing vision to become blurry or cloudy. Most cataracts are developed over time. However, in rare cases, babies are born with congenital cataracts. Cataracts can also develop from trauma to the eye or as a result of taking certain medications. In its early stages, a cataract can be treated with prescription eyeglasses or contacts. However, as time passes and everyday activities such as reading and driving become difficult, the cataract will have to be removed through surgery. Cataract surgery is the most common surgical procedure performed in the world today and typically takes about 15 minutes to complete. The procedure involves removing the clouded lens and replacing it with an artificial intraocular lens (IOL). While traditional cataract surgery is an effective procedure that has been successfully performed with the use of handheld devices for years, the Mack Eye Center is proud to offer patients the option of bladeless laser cataract surgery. Bladeless cataract surgery incorporates a femtosecond laser to replace handheld instruments during key steps of the cataract removal process. 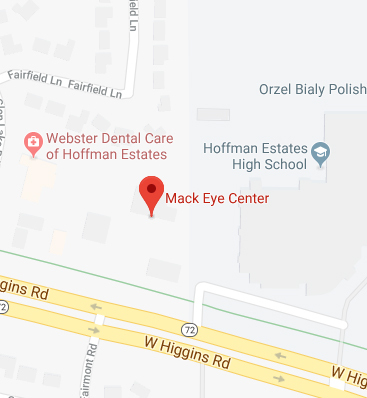 The Mack Eye Center uses the LenSx laser, a sophisticated, state-of-the-art laser that heightens the precision of the surgery and promotes faster healing for our cataract patients. Prior to surgery, your eyes will be numbed with special drops and you may receive medication to help you relax. To begin the procedure, your cataract surgeon will make an incision on the surface of the eye to access the capsule that holds the lens. The incision is carefully planned with a three-dimensional image of the eye using optical coherence tomography. The incision is then expertly made using the LenSx laser. Next, the laser is used to create an opening in the front portion of the lens capsule though which the cataract can be removed. The cataract is softened and broken up into pieces using the LenSx laser, and then gently suctioned out of the eye. The surgeon then inserts the IOL behind the iris and the pupil, in the space formerly occupied by the natural lens. The incision is self-sealing, so there is no need for sutures. A protective shield will be placed over the eye to keep it safe during the early stages of your recovery. For most patients, recovery from cataract surgery is short and complication-free. Immediately after surgery, you may experience side effects such as redness and blurred vision. These side effects are only temporary and should resolve quickly with proper care. Your cataract surgeon will prescribe eye drops for you to use several times a day for the first few weeks of your recovery. These eye drops will help aid healthy healing. You will also need to avoid getting water, dust or dirt in your eye. Additionally, your cataract surgeon will also provide you with a pair of sunglasses to protect your eyes from sunlight and bright light. You will also be advised to wear your protective eye shield while you sleep in order to avoid accidently poking or irritating the eyes. Strenuous activity, including bending, or lifting anything over 25 pounds, should also be avoided for at least the first week following surgery. Most patients are able to resume their normal daily routine one week after their procedure. Our team will schedule several follow-up visits for you as needed during the first weeks and months after surgery to monitor your progress. Monofocal implant. A standard implant, known as a monofocal lens implant, focuses the light entering the eye at a single focal distance; you will see best at a far, near or intermediate distance. If you choose a monofocal lens implant, you can decide the focusing power; most people with a monofocal IOL opt for strong distance vision and wear reading glasses for near vision. Multifocal implant. This premium implant is able to restore vision at multiple distance points. 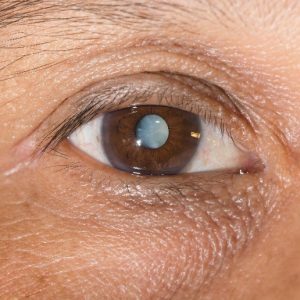 The advanced design of a multifocal implant allows patients to see clearly up close, far away and at many distances in between, without the use of glasses. Our team of expert cataract surgeons understand that each patient is different; the IOL that works best for your friend may not work best for you. We will customize your treatment plan and help you select the IOL that best suits your personal vision needs and goals. To learn more about cataract surgery, call the Mack Eye Center today. Schedule a personal appointment with one of our experienced eye doctors by calling (847) 755-9393 today.